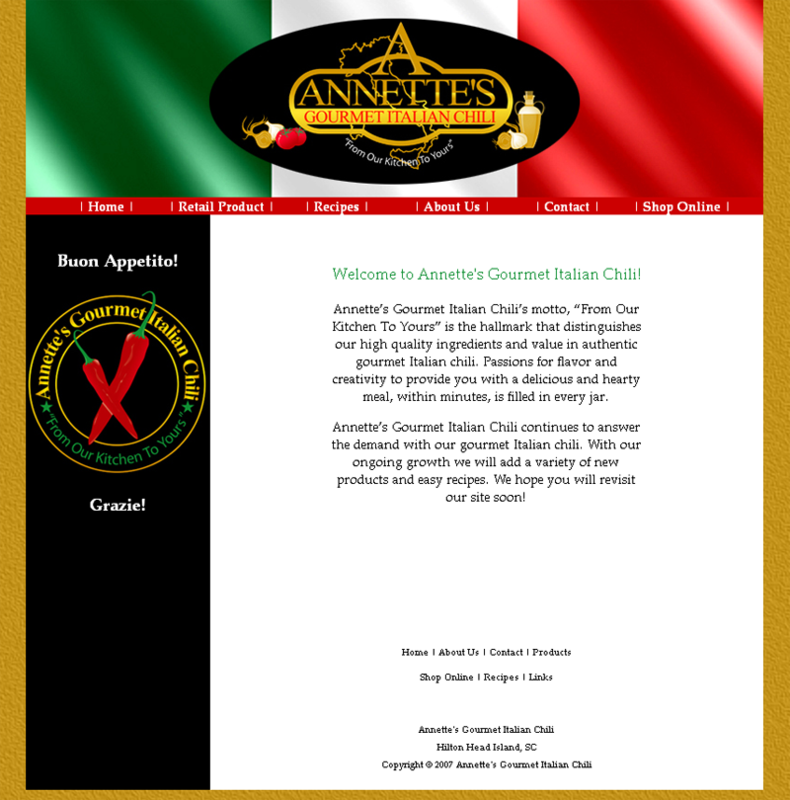 Annette's Gourmet Chili original website design. This was my very first website. I was approached to design and develop the site from scratch. It took me about a month from creation to completion. Some of my original designs are still displayed on the site today.